The following is a list of every item I actually travel with. After years of traveling both by land and air I’ve found the gear that works for me. These are the items I chose for long term, light weight travel. I’ve always traveled with a bag that I can carry-on to my flights. I HATED checking luggage and all the hassles it comes with. This lightweight Osprey is what I’ve traveled with for years and it still works perfectly. These are high quality and I definitely recommend them. 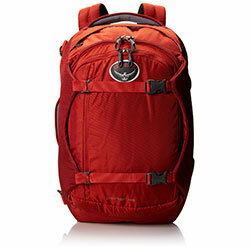 If you need a bigger one, the 65 liter Osprey Atmos has outstanding reviews. What I carry with me during day hikes, walking the city with my camera equipment, etc. 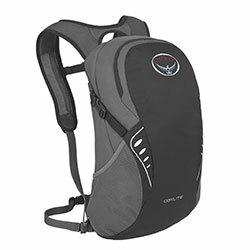 The Osprey Daylite Backpack conveniently hooks right onto and attaches to the Osprey Porter. I pack all of my clothes into 2 large space bags. These save a ton of space and I can fit a lot more clothes into my bag with these. They are essential! 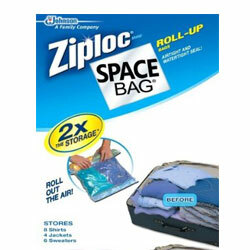 Space bags used everyday lasted me about a year before wearing out and needing replacements. A 15″ or smaller laptop is ideal for most. The new 2-in-1 laptops are super lightweight and fun. I don’t recommend getting an expensive Macbook or other high dollar laptop as there’s always the risk of breaking, water damage, theft or losing it some other way. Find something budget friendly and easily replaced. I always carry 2 back up hard drives with me. If my laptop ever crashes or is stolen I have all my important files and photographs backed up. When I’m out all day one of my backup drives stays with me in my day pack and the other is hidden away in my room. I use this tiny USB battery to keep my phone charged during long flights and bus rides. My Samsung phone has the worst battery life ever and this USB charger has kept it alive during critical times when I really needed my phone. It’s small enough to fit in my pocket too! 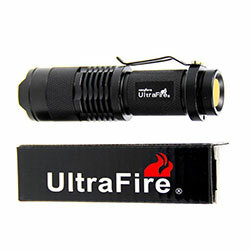 This mini flashlight packs a powerful beam and comes in handy all the time. It’s small enough for the pocket but very bright, and uses just a single AA battery. It’s also waterproof as I found out hiking in Costa Rica. If you’re planning to visit the other side of the world you’ll most likely need a set of adapters to plug into the outlets. Many hotels do have American style outlets, but you’ll be out of luck if you end up in one that doesn’t. I’ve tried fancy all-in-one adapters and they quickly broke. This set is simple and has worked great for me. 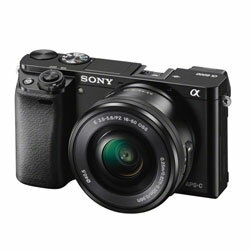 Sony’s top of line mirrorless camera that shoots DSLR quality at half the size. 5-axis image stabilization and 42 megapixels are just part of this camera’s excellent features. This camera is very small yet takes amazing pictures. The price on it has been reduced by hundreds of dollars and it’s better value now than ever before. I love this camera. It’s easy for beginners to use but it also has all the features an advanced photographer requires; so you can grow into it when you’re ready. A tripod is essential for the serious photographer. I use mine constantly for all my night photography, moving water, and even to take pictures of myself when nobody else is around to ask. 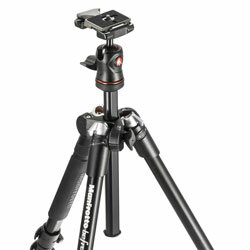 This Manfrotto tripod only weighs 3 pounds and is compact enough to fit in my bag. It comes with a nice carrying case also. I’m constantly complimented on my underwater photos. I carry a Canon PowerShot G16 which is a great point and shoot camera. 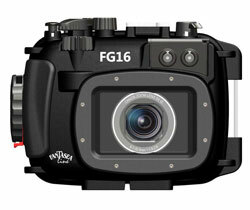 To get it underwater I have the Fantasea FG16 Underwater Housing. This combo is relatively cheap and easy to use compared to more advanced underwater camera setups and the Canon camera is great for a backup to my Sony. Packing clothes can be tricky. It’s good to know where you’ll be going. In my case I’m traveling in almost exclusively hot, humid countries. So I pack a lot of very lightweight material clothes that keep cool in that weather. Your clothing checklist will depend upon your style and weather conditions of your destination but one thing I definitely recommend are quick-drying, comfortable boxers. Although Exofficio is one brand I wear any ‘dri-fit’ boxers will suffice. The Exofficio boxers are super breathable and air dry in a few hours so you can wash as you go and carry fewer pairs. I’m a clean cut kind of guy. I needed a good trimmer. 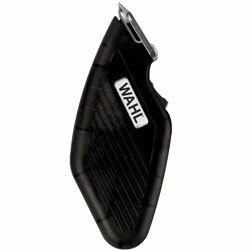 This Wahl was the smallest I could find. It gets the job done but it’s small size come with one drawback. There’s no charging up, only 2 AA batteries. One solution for this would be to travel with rechargeable batteries and a charger. If you pack light like me, you will inevitably need to wash clothes. That’s easy enough, but drying is another story. This clothesline is perfect for drying clothes on the go. After so many years of traveling I can tell you with confidence this is the best clothesline. The big loops on each end open and velcro together easily to doorknobs, balcony railings, window latches, etc.. and these nifty endings make it far easier to use than any of the other variations. I used to worry constantly about my laptop getting lost, stolen or damaged and losing all my prized photos and files. Now I am worry free knowing that all my photos and files are safe. How? All my irreplaceable data is now backed up online automatically. 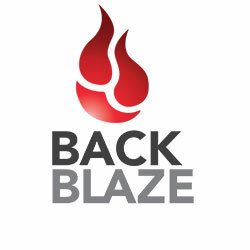 Backblaze gives unlimited space for only $5/month. T-mobile. Yes, you read that right. 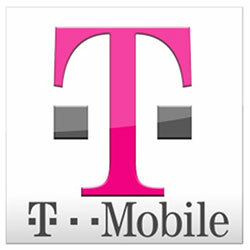 T-mobile isn’t known for being the greatest service in the U.S. and I certainly agree with that. But they’re a dream come true for the long term traveler. For just $50/month you can have a U.S. phone number with unlimited texts and data that works in 140 countries. The alternative of no-phone, or buying new SIM cards might be a little cheaper, but there’s nothing like keeping in touch with friends and family with a single phone number. – Haven’t seen enough? Check out my travel blogging friend Jeremy’s travel gear list for more ideas! – Ladies! Check out this very detailed list if you want to know all about the best shoes to pack for your vacation.